Dell'Orto SH1/20: Fitted to Lambretta Series III bikes including: Li125 Special, TV175, TV200, SX150, SX200, & GP125. For more info see the Li125 Special carb re-build page. 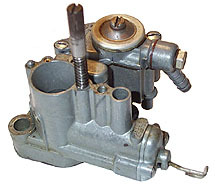 Dell'Orto SI24/24E: Fitted to 200cc Vespa from the 70s onwards 125 - 200cc including: Rally 200(VSE1T), P200E, & PX200E. 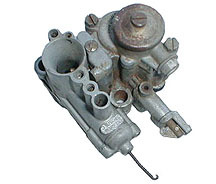 Autolube was added to this carb as standard in the US and as an option in Europe. 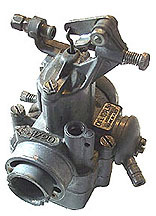 Dell'Orto SI20/17: Fitted to 150cc Vespas in the 60s including VBA1T and early VBB1T. The choke was not part of the carb, but worked by closing a small air flap in the intake of the carb box. 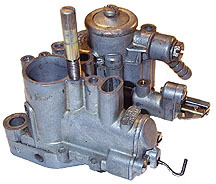 Dell'Orto TA18C: Fitted to 125cc Vespas in the 50s such as the VM1T, VM2T, VN1T, VN2T.